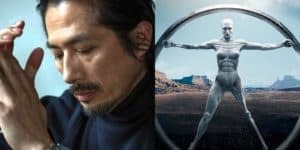 Westworld Adds Hiroyuki Sanada to Season 2 | Nerd Much? We shall see if the show can hold itself up without the amazing Hopkins as the master puppeteer. According to Deadline, Hiroyuki Sanada will be joining the cast of Westworld’s second season. He will be playing the part of Musashi, but nothing else is known about the role or if he will be a part of the main cast. The main cast of season 1 had included stars Anthony Hopkins, Ed Harris, Evan Rachel Wood, James Marsden, Thandie Newton, and many more. Though it has been implied that we won’t be seeing Hopkins again in season 2. Presumably due to the circumstances of the last episode. A little upsetting, since he really the main reason a lot of fans were attracted to the show, but we shall see if the show can hold itself up without the amazing Hopkins as the master puppeteer. Sanada is known for his work on The Last Samurai, 47 Ronin, and The Wolverine. He just finished shooting for a role in The Catcher Was A Spy, a film that will debut at the Toronto Film Festival. Next on his roster is Avengers: Infinity, making him quite the busy actor this season. Westworld is going into the Emmys with 22 nominations, including Outstanding Drama Series, and multiple categories for leads Evan Rachel Wood and Hopkins. The show certainly deserves the praise, as it was created by Jonathan Nolan and Lisa Joy after the original 1973 film by the same title. The story centers around the idea of artificial consciousness ushering in a kind of Blade Runner dystopia; what Deadline describes as “the evolution of sin,” which is a phrase I couldn’t have said better myself. Once again, I cannot recommend Westworld enough. Seriously, find it on HBO, online, wherever you can. If you liked Black Mirror and need more of that subversive alternate reality narrative, Westworld is the way to go next. If nothing else, study Hopkins method of acting and find even more to love about the show.